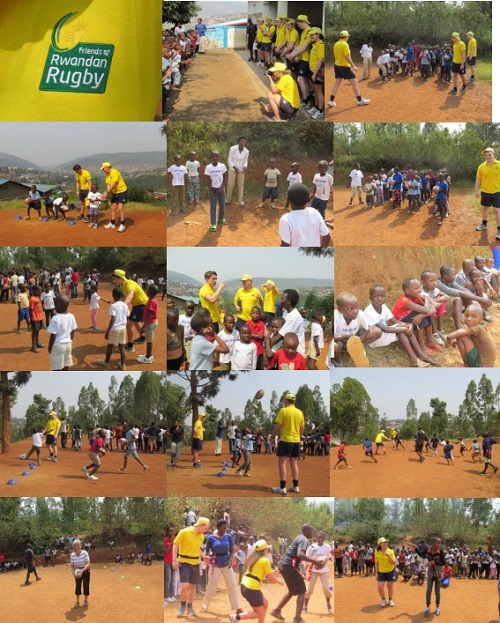 We had a wonderful time this morning playing rugby with Matt and his volunteers from Friends of Rwandan Rugby who came to visit our eager young players. We have been working with Kamanda, one of six rugby development officers working in Rwanda each week and are beginning to get the idea of not throwing the ball forward!! Even the staff had a game with the volunteers – rather an unequal match….the photographs show what a great time we all had.